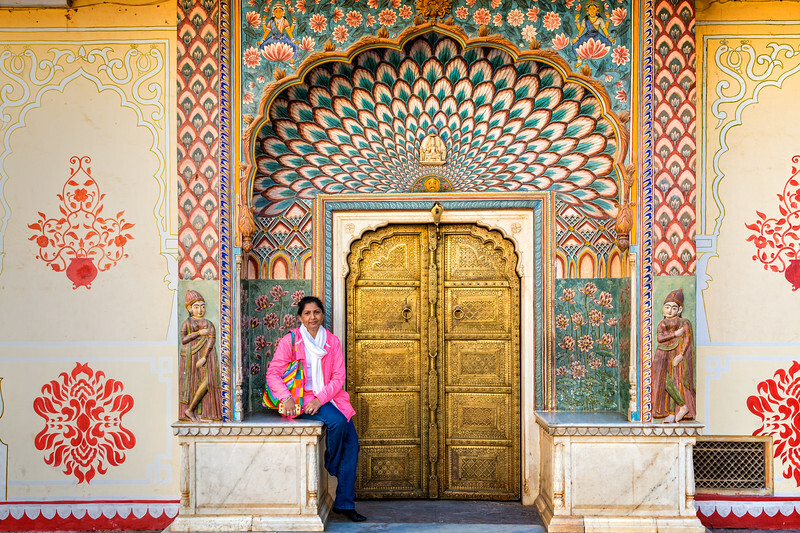 City Palace is located in the Pink City, the capital of Rajasthan. 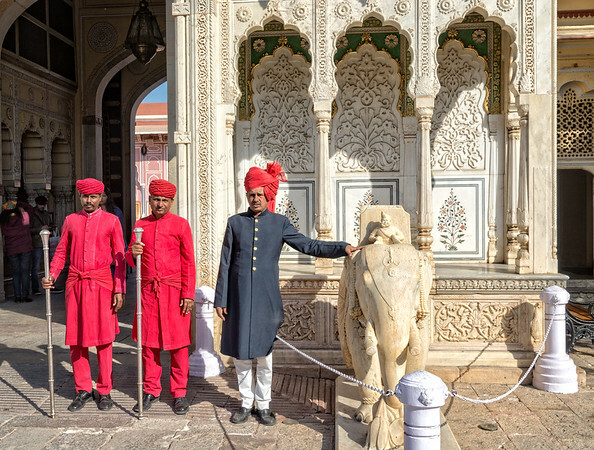 This is most famous tourist palace of Rajasthan which composes a vast complex of gardens, courtyards and many buildings. 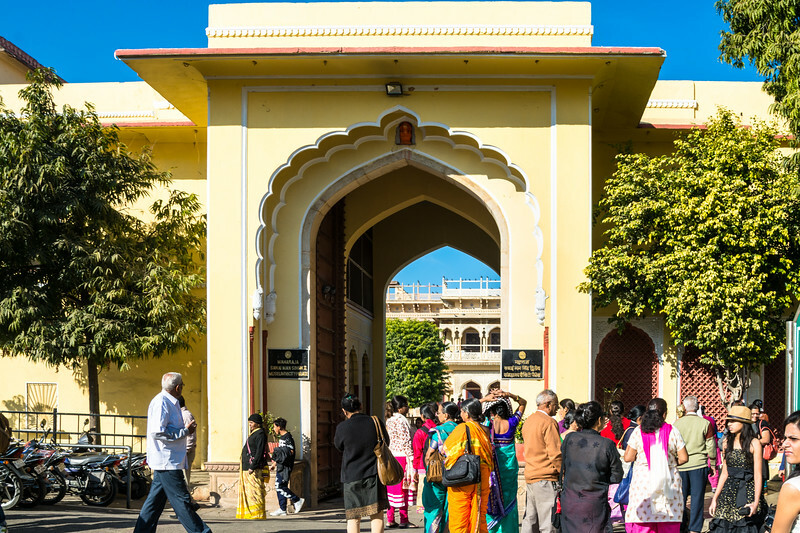 Jai Singh built the outer walls of the Palace but later more additions have been made to this palace till 20th century. 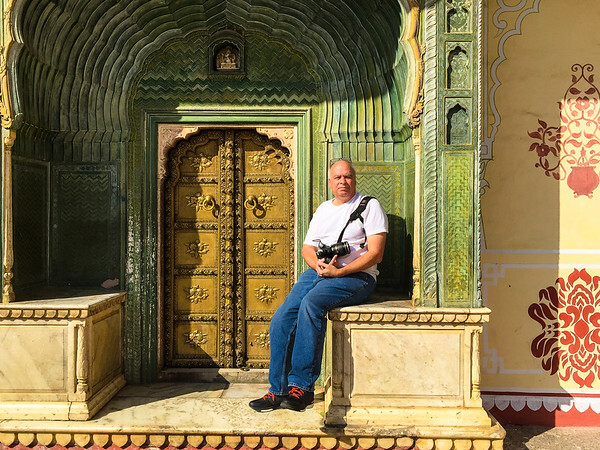 The palace is blend of Rajasthani and Mughal architecture. "Courtyard of the Beloved". Each gate represents the four seasons. The Lotus Gate represents summer. Capacity: 900 gallon (4091 Liters) (As mentioned in the Genies Book of World Record) Interestingly, Maharaja Sawai Madho Singh II took these Jars, filled with Gangajal (Ganges water) on his voyage to England to attend the coronation ceremony of Edward VII in the year 1902. Gangajalis are the largest silver objects in the world as per the entry in the Guinness Book of World Records. They were made in the Mistri Khana (one of the 36 karkhanas of Jaipur State), the City Palace, Jaipur by two silversmiths, Govind Ram and Madhav. Dimension of Each jar: Weight: 345 kg. 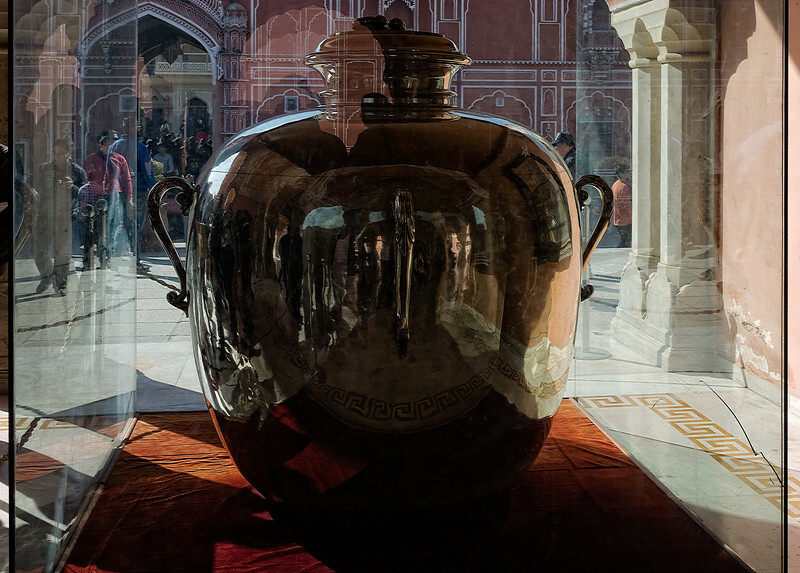 Circumference: 14'10" Capacity: 900 gallon (4091 Liters) (As mentioned in the Genies Book of World Record) Interestingly, Maharaja Sawai Madho Singh II took these Jars, filled with Gangajal (Ganges water) on his voyage to England to attend the coronation ceremony of Edward VII in the year 1902. 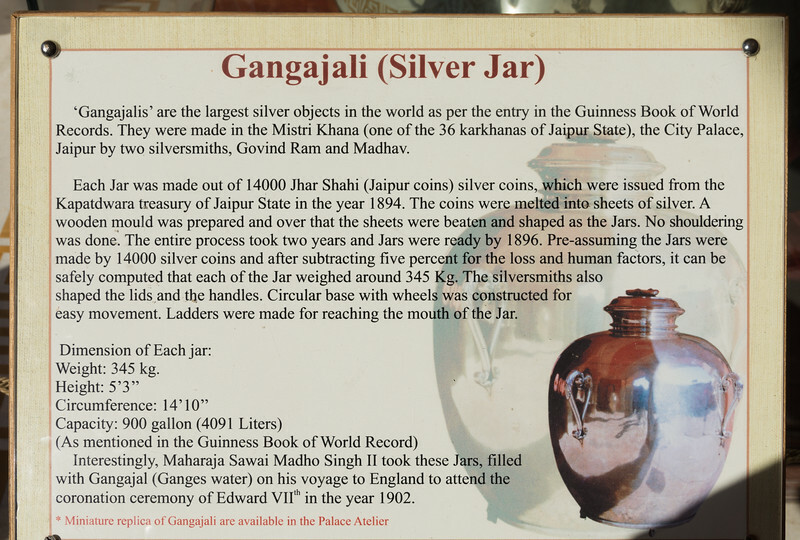 Gangajalis are the largest silver objects in the world as per the entry in the Guinness Book of World Records. They were made in the Mistri Khana (one of the 36 karkhanas of Jaipur State), the City Palace, Jaipur by two silversmiths, Govind Ram and Madhav. Each Jar was made out of 14000 Jhar Shahi (Jaipur coins) silver coins, which were issued from the Kapatdwara treasury of Jaipur State in the year 1894. The coins were melted into sheets of silver. A wooden mould was prepared and over that the sheets were beaten and shaped as the Jars. No shouldering was done. The entire process took two years and Jars were ready by 1896. Pre-assuming the Jars were made by 14000 silver coins and after subtracting five percent for the loss and human factors, it can be safely computed that each of the Jar weighted around 345 Kg. The silversmiths also shaped the lids and the handles. Circular base with wheels was constructed for easy movement. Ladders were made for reaching the mouth of the Jar. Interestingly, Maharaja Sawai Madho Singh II took these Jars, filled with Gangajal (Ganges water) on his voyage to England to attend the coronation ceremony of Edward VII in the year 1902.